The Mommy Connections West baby group were meeting in a yoga studio that had the most brilliant blue coloured wall. I loved the colour so much that I painted a room in my house that colour a few weeks later. But it was such a great backdrop for our photos. 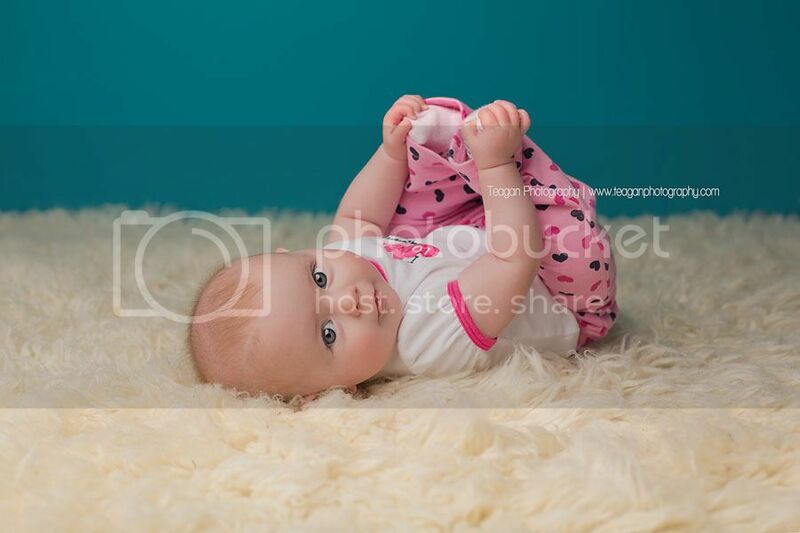 Book your baby photos by clicking here! I would love to work with you. Mommy Connections West must have been so excited to have their little ones captured for holiday portraits. 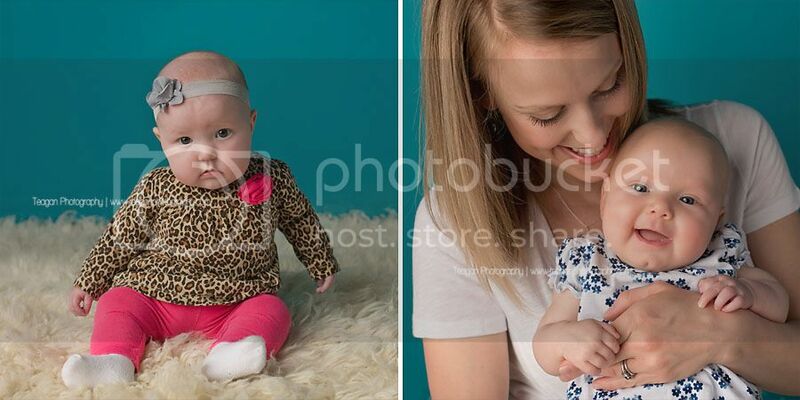 Baby photography is just so adorable and I am loving all of your work. I definitely know who to book within in Edmonton! 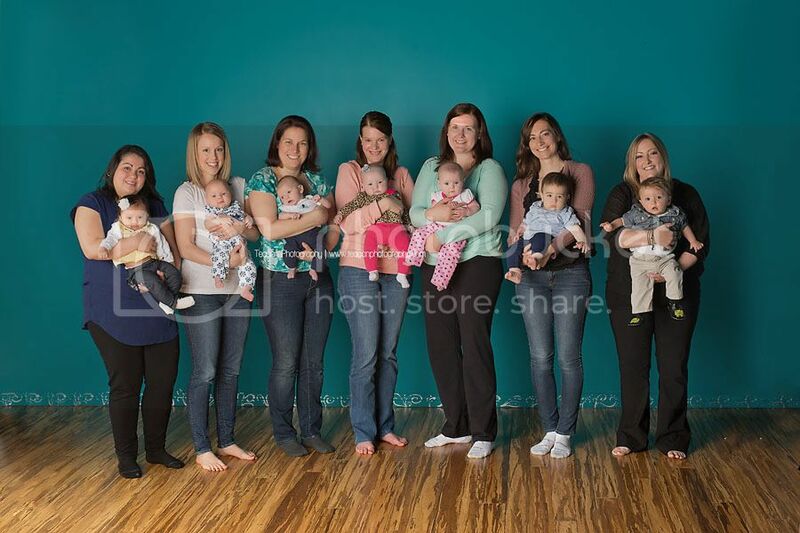 What a great group the Mommy Connection is, I wish I had this when my daughter was a newborn it would have been very helpful to connect with other mommies. 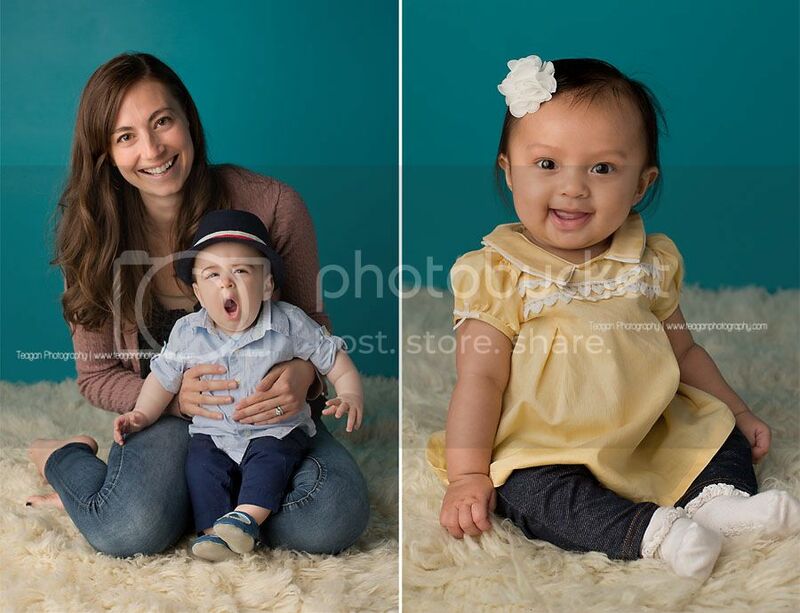 You would never know that this precious images were taken in a yoga studio! 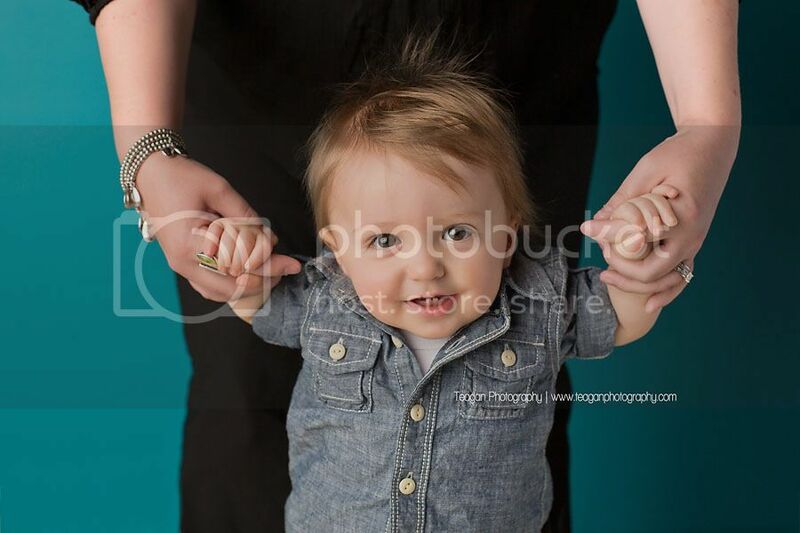 I agree with you though, this pop of blue from their wall was perfectly fitting for a fun baby photography session. The ladies in the Mommies Connection West group look like a fun bunch!